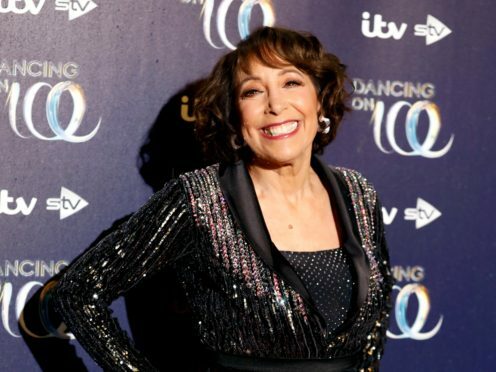 Grease star Didi Conn has revealed she is taking part in Dancing On Ice to find out who she is – apart from being a mother. The US actress’s son Daniel was diagnosed with autism aged two and she has cared for him since. Now aged 26, Daniel works on a farm, giving Conn, 67, time to herself. Conn – best known for playing Frenchy in 1978 musical Grease – revealed that when producers approached her for Dancing On Ice, she saw it as an opportunity to discover who she is. She said: “I have a son who is special needs and he is now living on a farm and working there and this has given me a time in my life to find out who is Didi-Didi, not Didi-mommy, you know? New York-born Conn, who is a spokewoman for an autism charity, said she was also attracted to the ITV reality show by the challenge of learning how to skate. Conn, who starred in the 1978 film Grease as one of the Pink Ladies, alongside Olivia Newton-John, reminisced on her time filming the musical to mark its 40th anniversary earlier this year. She revealed she and Newton-John remain close friends to this day. Conn will be joined on the upcoming series of Dancing On Ice by stars including Finnish singer Saara Aalto, Coronation Street actress Jane Danson, The Only Way Is Essex’s Gemma Collins, former Westlife singer Brian McFadden and Love Island finalist Wes Nelson. Singer Jake Quickenden won the last series of Dancing On Ice. Dancing on Ice, hosted by Holly Willoughby and Phillip Schofield, starts on ITV on January 6.